Have you ever been bombarded by a marketing campaign for a product and thought, “man, that’s really annoying”? The incessant emails after you signed up for a free ebook — which seemed like five in one day. The constant “Buy! Buy! Buy!” shouted at you every time you see a communication from the company. Maybe they even called you on the phone, trying to get you to buy their product. And after being inundated with so much information, you unsubscribed… and swore never to do the same thing to your future customers. But now that you’re in the same position – needing to get your course idea in front of your audience – you’re honestly a little bit unsure how to move forward. You certainly don’t want to be that guy, all obnoxious and pushy. At the same time, you’ve probably figured out that people won’t automagically come simply because you’ve built your course. Hopefully you read our post from a few weeks ago that was all about simplifying your marketing by focusing on tactics that are appropriate for your stage of business, but maybe you still feel a little slimy when you think about actually trying to sell your course. So you hesitate at first. But only kinda-sorta, and maybe a little halfheartedly. And definitely with more than a little fear, and a lot of “ick” feeling. You don’t want to irritate people when you approach them. Worst of all, you don’t want to annoy people to the point that they unsubscribe from your email list. But take heart. All those bad experiences you had in the past aren’t actually what marketing is all about. Your approach can be much better. You know you have to tell people about your course — it’s the first step in getting them interested in buying it, after all. And unless you actually take that step and let people know what you’re working on, you’re never going to get your course off the ground. But you’re probably wondering how to find the right balance between marketing just enough and marketing so much that you turn people off with your aggressive sales tactics. In this post, we’ll give you a process for doing just that. Course creators tend to make one big marketing mistake: they forget that they’re solving a pressing, urgent problem for their audience. 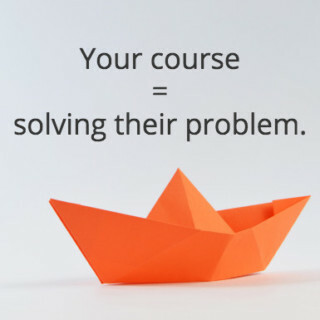 Yes, you’re trying to sell your course. But most importantly, you’re offering a solution to a problem that some people are dying to achieve. Without your solution, your potential students are going to continue to suffer. Is that what you really want? To cause unnecessary pain and agony for your audience? So why are you holding back? Show them that you can solve this problem for them! Marketing isn’t about pushing people to do something they don’t want to do. 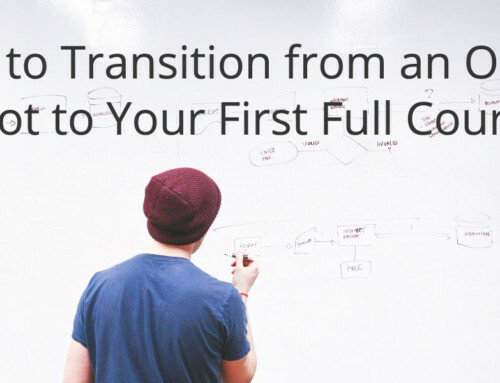 It’s about getting your course in front of people who desperately need what you’re offering. You’re actually doing a great service by getting the word out. You’re giving people hope and a glimpse into a better future — assuring them that they can solve their problems, with your help. I get that you don’t want to bombard people. But the fact is, it’s probably more challenging to get your message out there than you realize. The second big mistake that course creators make is assuming that everyone sees every message that you send out. You need to understand this or you could end up making rash decisions based on incomplete data. 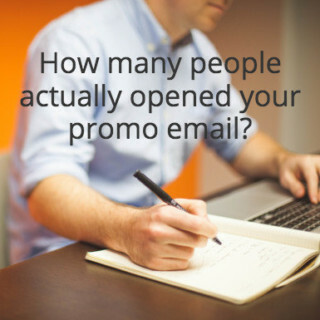 Do you pay attention to how many people actually open the emails you send them? That number is called your “open rate” and your email service provider helps you track it. Depending on your industry, the average open rate is somewhere between 15 – 30%. Absolute best case scenario, that means that 70% of the people on your email list never even opened the email you sent them. Now, this is not really a bad thing. Your most engaged followers will open your emails, and your likelihood of reaching a larger number of people increases if you send a few different emails. The truth is, email is still by far your best promotional tool. It’s just that people are distracted and it’s human nature to wait until the last minute. 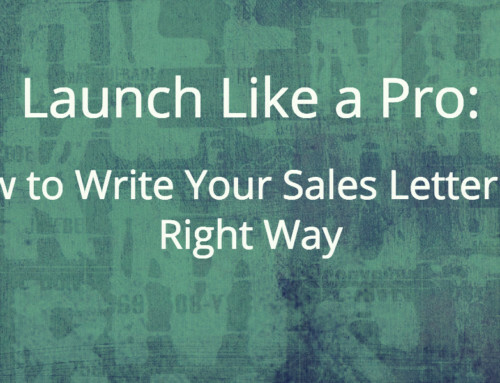 So plan to send out several emails during your launch. And please don’t think that social media is a miraculous, quick fix. There was a time (up until about 4 years ago) when you could publish an update to Facebook and have it reach every single one of your Facebook fans. Did you know that’s no longer the case? These days the average social media organic reach of a (non-paid) post is hovering somewhere around 2%. If you have 500 Facebook fans, that means there’s a good chance that 490 of them won’t see your update. And don’t think that Twitter is much better. Unless your followers are constantly checking their feed, it’s likely that they’re also going to miss that message you sent out. It’s the same with other groups or forums — even if you post something to the group, there’s a high chance that not everyone is going to read it. 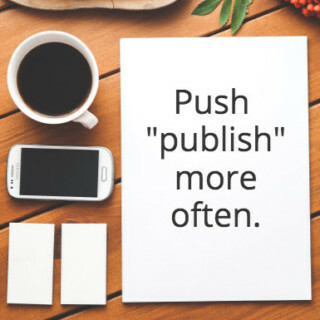 The key takeaway is this: most people won’t see what you shared the first time, so you’re probably going to have to push “publish” more often than you’re comfortable with. That doesn’t make you annoying. It makes you a smart marketer. Maybe the idea of pushing your message repeatedly really bums you out or makes you feel slightly icky. That’s understandable. Most people aren’t comfortable with the amount of marketing that’s necessary to successfully promote their online course. But here’s the truth: if you want to get people to buy your course, you’re going to have to get uncomfortable. Stepping outside your comfort zone may feel a little bit like that stomach-clenching moment at the top of a roller coaster, but we promise that the end result is worth it. Whenever it feels dark and scary to put yourself out there, remember the positive impact your solution is going to have on your audience! The good news is, there are ways to promote your course that don’t feel quite so panic-inducing. One powerful way to feel less of the “ick” factor around your marketing is to think of it as telling a story, rather than as trying to browbeat someone into buying your course. And since you built your course to help people, it only makes sense to include them in the story. Remember, it’s not about you. It’s about them — their pains, their struggles, and how your course helps relieve them. 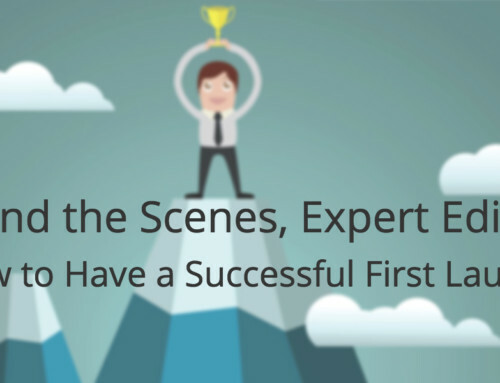 There are a couple of ways that you can work with your audience to craft the perfect story. Pick a small number of people to work with for free, for a defined period of time, in exchange for case studies and testimonials. Help them to get results for free. Even though these clients won’t be paying you in cash, they will give you valuable feedback. Help your clients to demonstrate real, measurable progress toward solving their problem. Once the session is over, you can invite them to keep working with you 1-on-1 as a paying client. Create some pre- and post-session assessments. 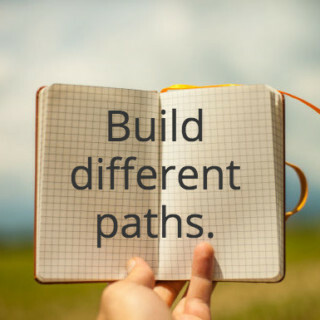 You want to be able to show a change in behavior, feelings, or other results from “before” working with you to “after” working with you. Think about what kind of assessment or questionnaire will capture the full “before” picture, and what criteria will help you demonstrate measurable results at the end. The exciting news about this technique is that you can use it whether or not you have current clients or a finished course — even someone just getting started can use this! A health coach specializing in stress reduction could measure self-assessed stress levels at the beginning of her time with each client. Then, during clients’ free sessions, she could take people through the steps that she uses to help them lower stress. She could do the self-assessment again at the end of their sessions and present the improvements to the client. After talking through the results, she could get either a testimonial or a case study from the client. And then, after wrapping up all agreed-upon work, she could invite the client to continue doing coaching with her as a paid client. Not every person she works with will take her up on continuing to work with her, but she will have their testimonials — which will make it vastly easier to promote her services and programs in the future. And at least a few of them will stick around as paying clients. And that’s not the only approach you can take. You created an online course. That means that you’re a teacher, at least part of the time. So why not use your teaching skills to get people interested in your course? 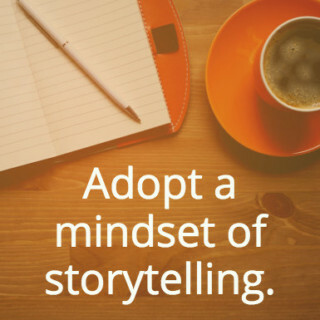 The key is adopting a mindset of storytelling and educating, rather than promotion and sales. When you put your students’ and clients’ stories front and center, people suddenly understand why they should care about what you have to say. Stories are one of the oldest forms of communication. We’re hard-wired to listen for the beginning, through the middle, and all the way to the end of a story. Our curiosity won’t let us pull away. So use the power of story to engage your audience. More people will pay attention — and the whole process will feel much more natural to you. Think about something that you recently bought that you LOVED buying, and try to capture the reasons that it made you feel that way. Now, put yourself into your customer’s shoes, and try to imagine that they feel a similar way when they buy your course. Unlock the emotions that your customer will feel and try to elicit those exact same emotions in your marketing. You’re trying to attract them to you, and the only way to do this is to infuse your offerings with the emotions you want them to feel. Let your personality, your values, and your passions shine. A physical trainer who focuses on getting new moms back into marathon shape might talk about some of the pitfalls of training. She could address the feeling of disappointment that comes along with an injury sidelining her from running her first marathon post-baby. She might also tell the story of one of her clients who came to her after a small injury, and their work together that allowed her client to make it to the finish line of the marathon. She could tap into her client’s fear that the injury would end her dream, as well as the joy and triumph that client felt when she crossed the finish line. This second instance incorporates the created “proof” from a client with storytelling, for an added 1-2 punch. Another way to feel less “spammy” about the way that you continue to promote your course offering is to make sure that you give people lots of options to reach your sales page. Rather than having a single message, repeated over and over (hello, gross internet marketers all over the world), take your marketing message and adapt it for each place it’s being used. 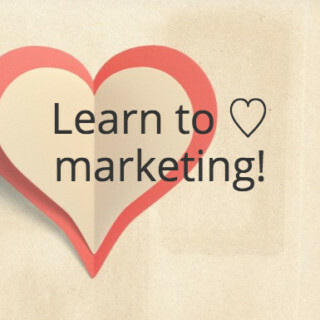 If you can get bored with your marketing, chances are that everyone else will, too. Someone sees a promotional tweet about your course in the morning. During their lunch, as they’re skimming through Facebook, they see a photo quote from you — it’s related to your course, but it’s different enough that they don’t associate it with the same message they saw earlier. And then that night, as they’re checking their email, they read a great message from you that includes details about how they can take one small step toward solving their problem. This email also mentions that you have an entire course dedicated to solving their problem, and includes a link to the sales page. This example can be switched up to include any social media platforms where your audience has a presence, and changed around to fit your circumstances. The key is that each time someone sees your offer, they should be getting value out of it. In the end, your audience is seeing messages that are driving them toward the same thing, but they see each message in a different context, and each one varies enough so that it feels fresh. If you’re just focused on yourself, it won’t work — but if you help people every time you reach out, you’ll see much better results. It can feel like the entire world is staring you down, judging you by the promotional materials you put together for your course. And it can feel painful and awkward enough to make you want to want to stay silent. 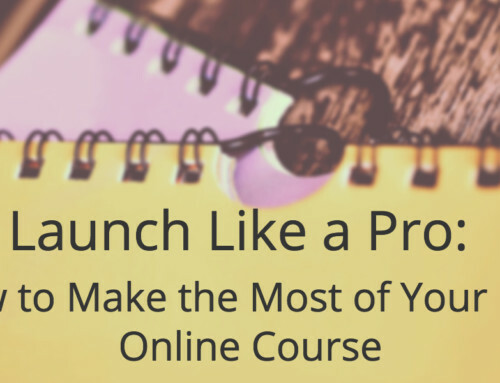 But now you have the necessary tools to market your course without feeling like a slimy spammer. 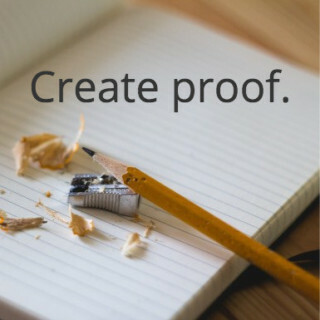 Find a few people to work with and start “creating proof” so that you have the testimonials that back up what you already know — that you can help your audience solve their most pressing problem. With those testimonials, and customer stories that practically sell your course for you, you won’t have to worry anymore about seeming like a self-promotional swindler. Instead, you will have laid the groundwork for a fully promoted course that leaves both you and your audience feeling great about the interaction. And isn’t that what this whole process is really all about? Are there other clever ways that you can incorporate client success stories into your marketing? Or do you have any questions about how to get started? Let us know in the comments! Thank you Jessica! This was just what I needed to hear! Wonderful post on using heartful and mindful marketing techniques. Thank you! Thanks, Kelly! Always great to hear from you. Excellent post. Great content, reminders and inspiration. Thanks Jessica. Thanks so much for the feedback, Dawn! Much appreciated. Love this post – you have provided SO MUCH GREAT CONTENT! I am in the process of marketing my book (Ruzuku course revision to follow, as it accompanies the book) and have found every single point you raise to be true. I have NEVER been comfortable marketing – always felt like selling, sleazy, etc. – but when I learned to approach it with an attitude of service, it suddenly became much less of a stretch of my comfort zone. It’s still a stretch, but a manageable one, and I have found that I feel the fear and do it anyway!